Our First Year Anniversary Beer! 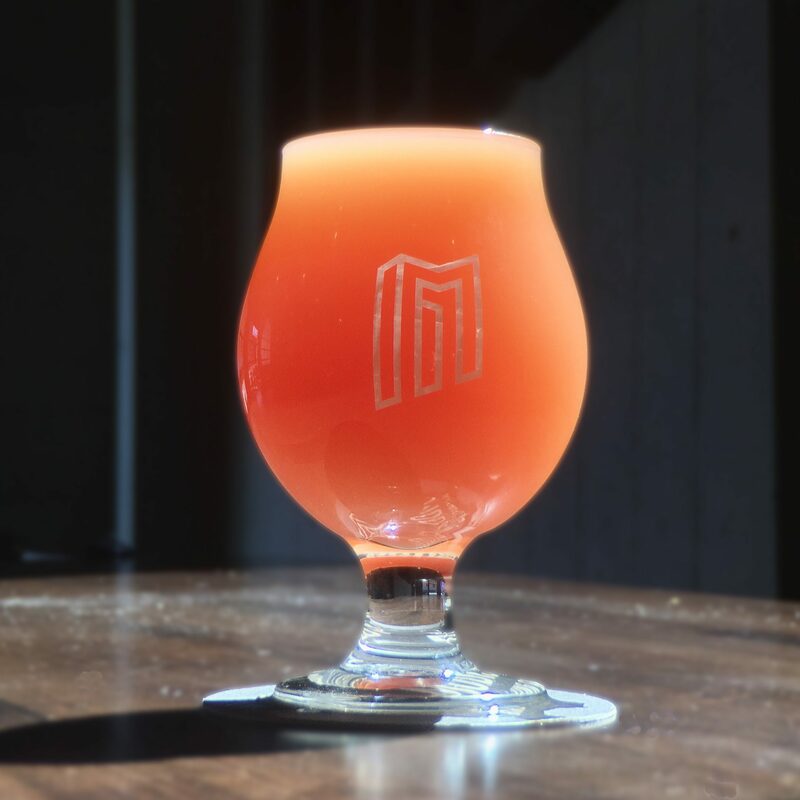 - Modist Brewing Co.
Our First Year Anniversary Beer! For our first anniversary beer we decided to go for a lot of firsts. It’s our first kettle sour, fruit fermented beer. It’s our first milkshake IPA. It’s our first beer using Mosaic hops. And it’s our first beer we’ve hopped at OVER 5 LBS PER BARREL. We’re calling it TURBULENT JUICE: a kettle sour fruited milkshake IPA! Turbulent Juice is brewed with wheat, oats, barley, and lactose. Then kettle soured and massively whirlpool hopped. Then we added tons of mango, pineapple, prickly pear, vanilla beans, and an absurd amount of Ella, Equinox, Denali, and Mosaic in the dry hop. Expect a soft, tart, fruity, creamy IPA with an abundance of tropical fruit aroma. It’s 7.2% abv, 40 ibu’s, and pink. We’ll be tapping it at 11 am on Saturday. There will be 150 crowlers available for purchase.